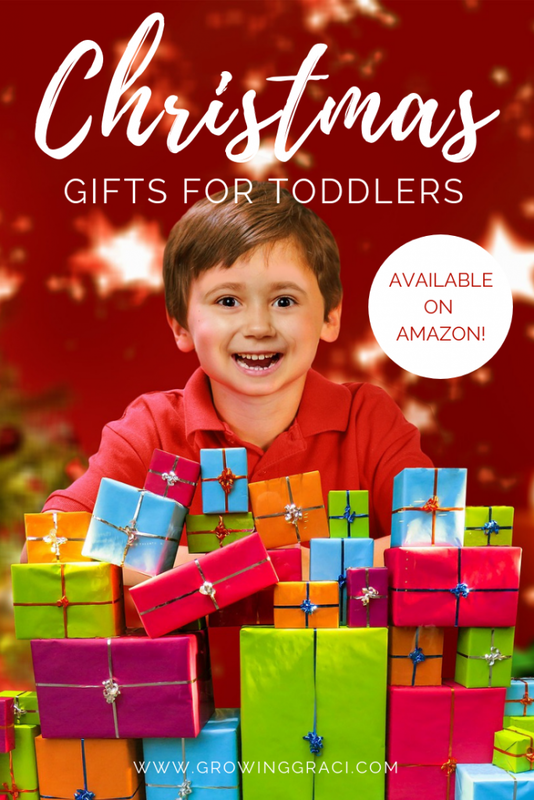 Looking for toddler Christmas gift ideas? Here is a list of products that my daughter has loved since she turned one. I’ve also included a couple of items that we are planning on giving her for Christmas this year. Check out this list and be sure to let us know what you think in the comments below. This toy is super cool because it makes noise as it senses movement to help you imagine that you’re riding a real horse. In addition to making noise, the buttons at the top also light up which is a lot of fun. This can be used as a rocking horse, or the bottom of the toy can be flipped to turn it into a ride-on horse that rolls on the wheels. Graci received this beautiful wooden activity center for her 1st birthday back in June and it is so amazing. There are things that spin, that open and close, that go on tracks and beads on wire curly q’s (like the ones they have at doctor’s offices). Your child can practice standing up and playing or sit down to play. I think this toy is definitely going to be one that lasts as the quality is INCREDIBLE. We highly recommend this toy! My mom decided to get Graci a ball pit for her 1st birthday. At first, I was threatening to leave it at her house because I couldn’t imagine chasing balls all over the house! However, we brought it home with us and we placed it in her Pack ‘n Play, inflatable pool and all, and just let her go. She had so much fun that I was happy we’d risked the mess and brought it home with us. Eventually, we moved the inflatable pool and ball pit into her room and she often dives into it while she plays. It has been such fun. Whenever Graci gets bored with her toys (which seems to be a toddler thing that happens often), we invent new “games” using the balls. We will practice putting them into containers, talking about the colors, taking them out and putting them back in, etc. We do have to pick up the balls in her room daily, but the amount of joy that she has with it is totally worth it to us. Below, I’ve linked what we have for her ball pit set-up. Using the pool linked below, we’ve found that we prefer 300 balls. However, I think it is nice to have extra on hand to make the pool extra full or to simply refill the pool when a few go missing around the house. This inflatable pool has been great for the ball pit because Graci can dive into the ball pit and not have to worry about getting hurt on the ball container. You will need some type of air pump to blow this pool up. NOTE: You may want to buy a cheap mesh laundry bag to store your ball pit balls in when you aren’t using them. Graci loves these toys so much because she can easily carry them with her when we leave the house or play with them at home with the play-sets. Something that I adore about these toys is that they will grow with her. Most of the Little People line is geared toward 1 to 5 year olds. While she mostly carries the figures around right now, eventually she will start doing pretend play with them as well. As a mom, I’ve really been enjoying collecting the different people and animals with Graci (and my mom who is slightly obsessed, too). Often times, you can buy an animal or person for under $4 at Target and Walmart, so it makes adding additional toys affordable. Here are a few of the ones that we own already! Graci is still not to the level where she can put these Legos together yet, but she enjoys playing with them like blocks, and soon she’ll be making Lego creations, I’m sure. 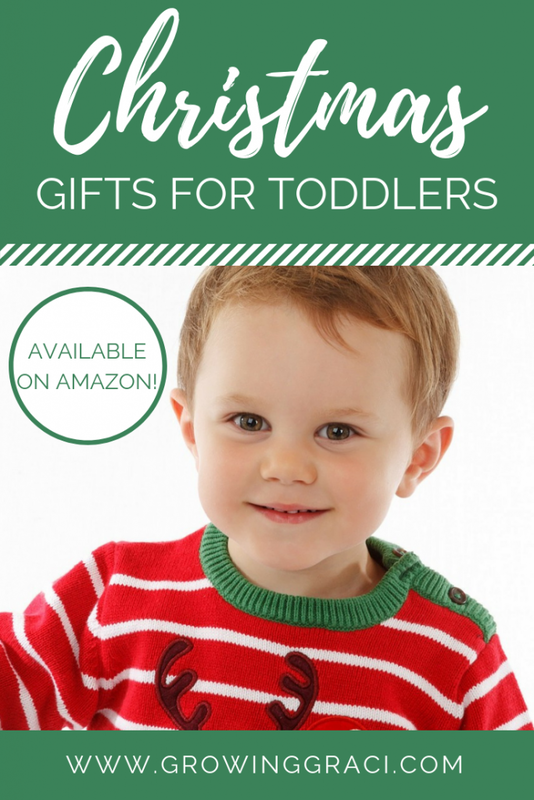 Like most of the toys on this list, these will grow with your little one for awhile. Sure, your kiddo may eventually want “big kid” Legos, but these won’t be something that they’ll outgrow quickly. Violet is Graci’s bedtime buddy lately. She was gifted her for her 1st birthday, and they’ve been hanging out ever since. One of the coolest things about Violet is that you can program your child’s name into it and tell her a few things about your child (like favorite color and favorite food). Then, Violet talks to your kiddo about these things. 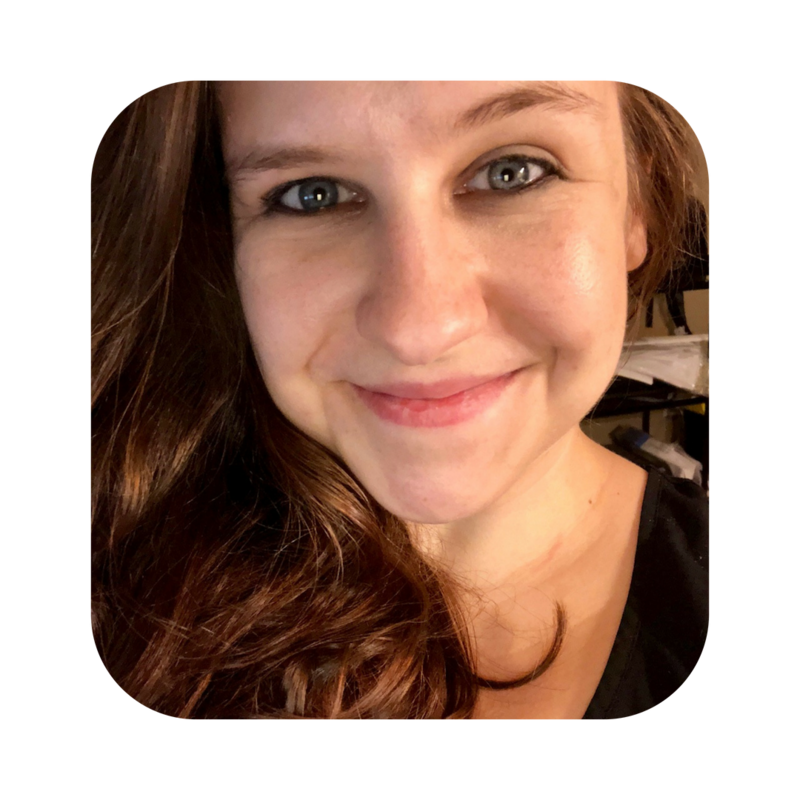 She does music and games, but my favorite feature is the bedtime feature. By pressing her foot, you can have her do 5, 10, or 15 minutes of bedtime music. This is now a staple part of our bedtime routine with Graci. NOTE: If you have an iPhone, you’ll need the headphone dongle to program your child’s name into Violet. She has a standard headphone cord in her back that will need to plug into the lightening adapter. I think board books are always a great gift. Anyway, here are some of Graci’s top board book picks in case you need a few suggestions! When Babies “R” Us was going out of business, my husband and I splurged on two of these Nalgene bottles for Graci (they were a different pattern than what is available on Amazon). At first I was surprised that they were a little more spendy than a regular sippy cup. Then, I used them. These bottles are high quality, have never smelled funny after washing (even when we put other stuff besides water in them), they don’t spill, the plastic valve on the inside comes out so that washing is easy and they have been super durable. The other thing that I like so much about these bottles is that Graci won’t outgrow them anytime soon. I’m all about reducing the amount of products that we constantly have to buy over-and-over again. It’s worth it to me to spend a little more and have a product that she’ll use for a longer period of time. Coloring is one my fondest memories from my own childhood. And, I can’t wait for Graci to color with me! My husband and I bought a pack of these egg crayons for Graci’s 1st birthday and she loved carrying them around and tapping them on paper immediately. Nowadays, we are trying to work with her on making the coloring motion on paper rather than just smacking the crayon on the paper. These eggs are the perfect shape to get your toddler to realize that swiping the crayon on paper makes color. Normal crayons have paper around them that require your toddler to hold the crayon just right to get color on the paper, are hard for your toddler to hold and break easily. This product solves those problems. Bath toys are always a great gift for little ones. Graci is always happy to take a bath and especially loves when we give her enough time to play. While I think that all bath toys are pretty awesome, we’ve really been enjoying this Munchkin Duck Dunk Bath Toy. Graci isn’t yet making baskets from afar, but she does enjoy putting the balls in and out of the hoop. My husband and I purchased this workbench on Black Friday in 2016 and have had it put away for this Christmas for Graci. We happened to find it for a good deal, and we knew that purchasing Christmas items early would only spread out the hit to our budget. Graci is going to love this toy, and we’re super excited to give her a toy that is typically marketed for boys. Who says that girls can’t use tools? You already know that we’re a fan of bath toys in this house! Well, when I had the opportunity to visit Downtown Disney in Anaheim, California a couple months ago, I grabbed this bath toy set for Graci for Christmas. She’s been watching the classics, so I think she’ll really enjoy this set. 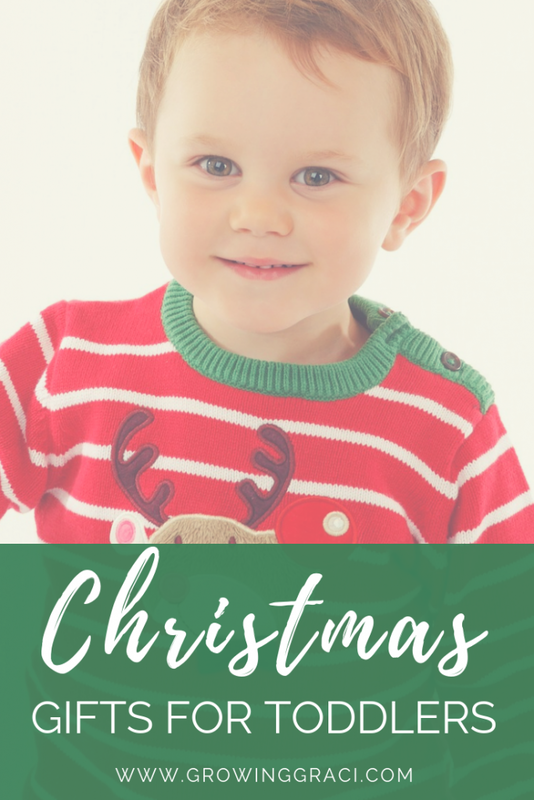 I’d love to hear what you’re getting for your little ones or just what you think about this post in the comments below!